Induction heating is efficient, easily controlled, uses no energy when not heating, and puts the heat where you want it, when you want it. No idle time, no massive refractories to heat, and close coupling enables you to use energy in the best possible way. Equally important is the manufacturers experience and know-how in providing the right equipment to match your overall objectives. 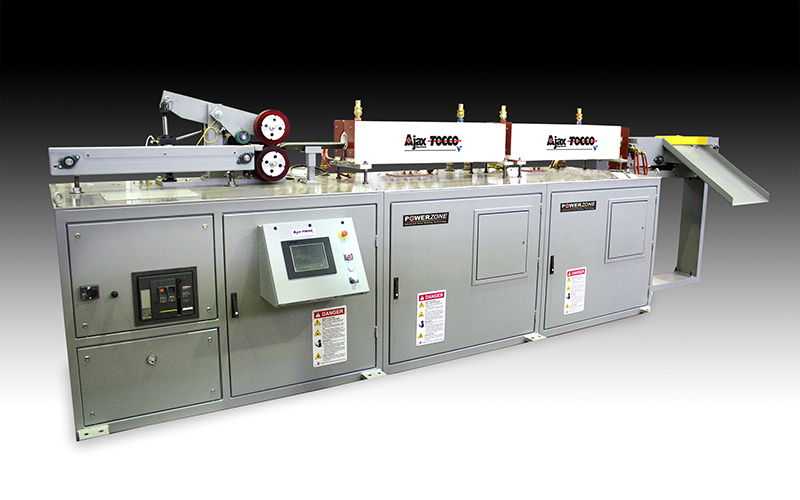 The Ajax TOCCO Magnethermic® Corporation (ATM) has experience that spans over 90 years and covers heating all metals in all shapes and sizes utilizing a wide range of advanced solid state power supplies ranging from 50 and 60 Hz, to 450,000 Hz. 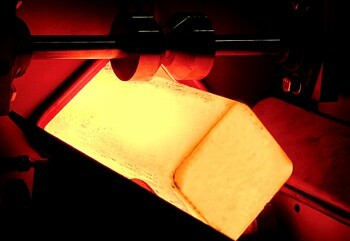 The photo sequence below shows the heating process. However, there are other determining factors which set induction heating apart from other heating methods. Factors such as energy efficiency, labor costs, quality, automation, maintenance, scale losses, cleaning and scrap losses are some of the advantages of induction heating. This induction heater and forge press work in perfect harmony at this automotive forge shop. Powered by a 250 kW, 10 kHz Ajax TOCCO Pacer®, bars are heated in a channel coil and automatically fed to the press operator. Typical forging installations provide maximum efficiency - requiring minimal floor space, labor and material handling. 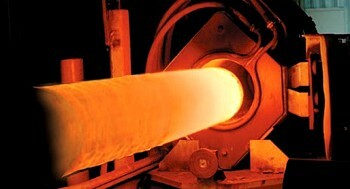 No wasted energy, no wasted billets with Walking Beam induction heaters. Heavy duty single action lifts, advances, and returns in one smooth, continuous action.